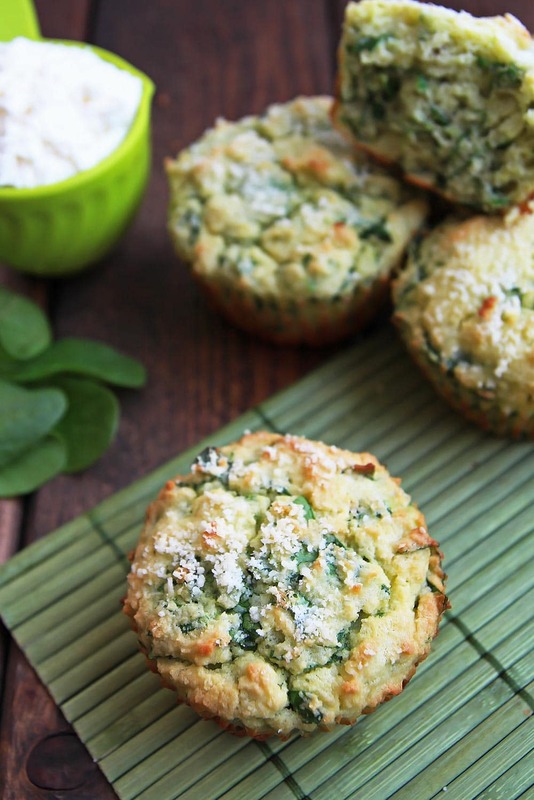 These green spinach muffins with ricotta cheese are made with coconut flour. This gluten free recipe for green muffins would be a perfect savoury snack for St. Patrick’s Day or everyday. Do you like to make green foods for St. Patrick’s Day? At the restaurant I used to waitress at years ago, we added green food dye to beer or any drink customers requested on this Irish holiday. 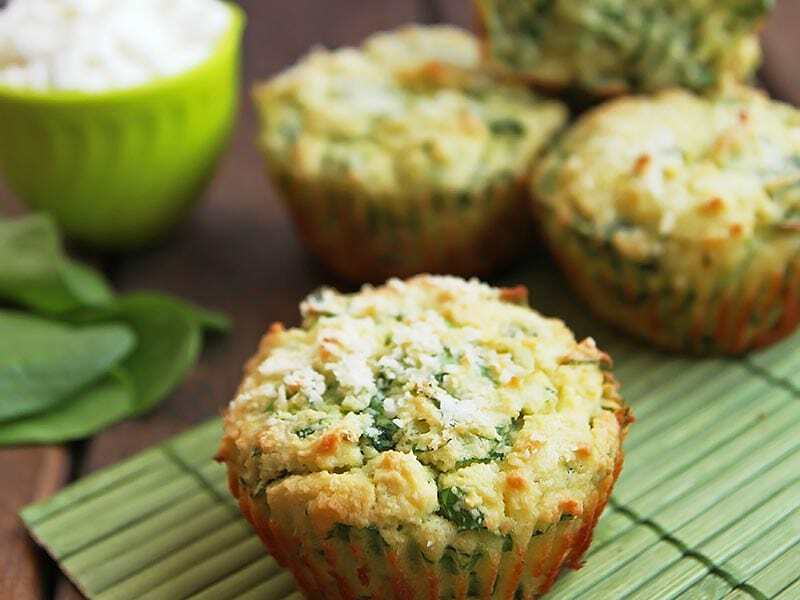 There are no artificial colors in these delicious and healthy coconut flour spinach muffins. Instead, it is nutritious spinach making them look green. However, these don’t taste ‘green’ at all. Fresh spinach is actually quite flavor neutral, especially if you choose tender baby spinach – but it packs a nutritious punch. These are seriously the best savoury muffins I have made to date! With an optional garlic note and Parmesan topping they make a great savory snack any time of year, and are also fantastic soup companions at lunch time. Muffins made from coconut flour tend to stick to even greased muffin pans and paper liners. To avoid too many of the delicious muffin crumbs getting lost on the pan or paper liner, be sure to use parchment paper liners or silicone baking cups. The coconut flour muffins will release completely from those without a crumb getting lost. If you love baking with coconut flour as much as me, you’ll enjoy my cookbook dedicated entirely to coconut flour recipes. 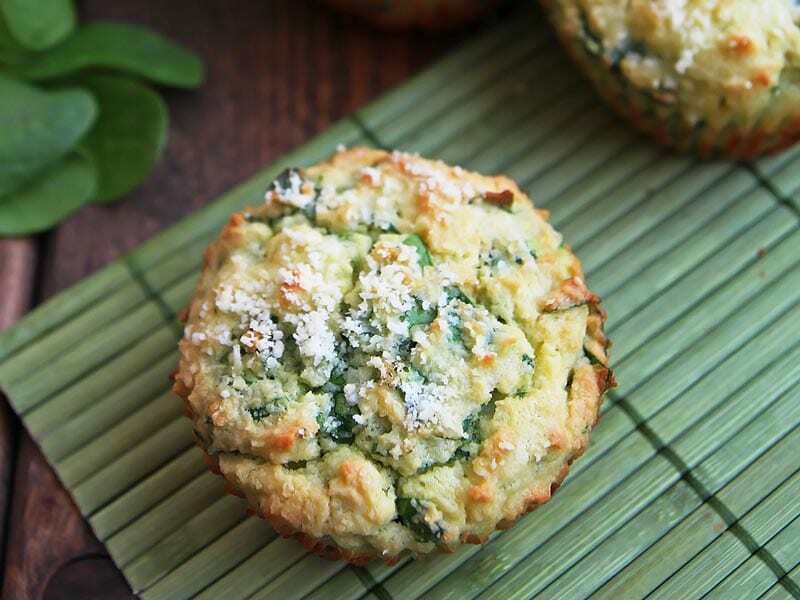 These green spinach muffins with ricotta cheese are made with coconut flour. 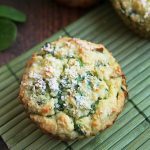 This gluten free recipe for green muffins would be a perfect savoury snack for St. Patrick's Day or everyday. Preheat your oven to 375° F and line a muffin pan with parchment or silicone cupcake liners. In a bowl whisk together coconut flour, baking powder, baking soda and salt. In another bowl whisk together eggs, ricotta cheese, melted butter, and minced garlic (if using) until combined. Add the flour mix to the wet mixture and stir until all lumps are gone. (Alternatively, you can also blend all ingredients in a food processor or blender.) Stir in spinach. Divide batter into 12 muffin cavities. 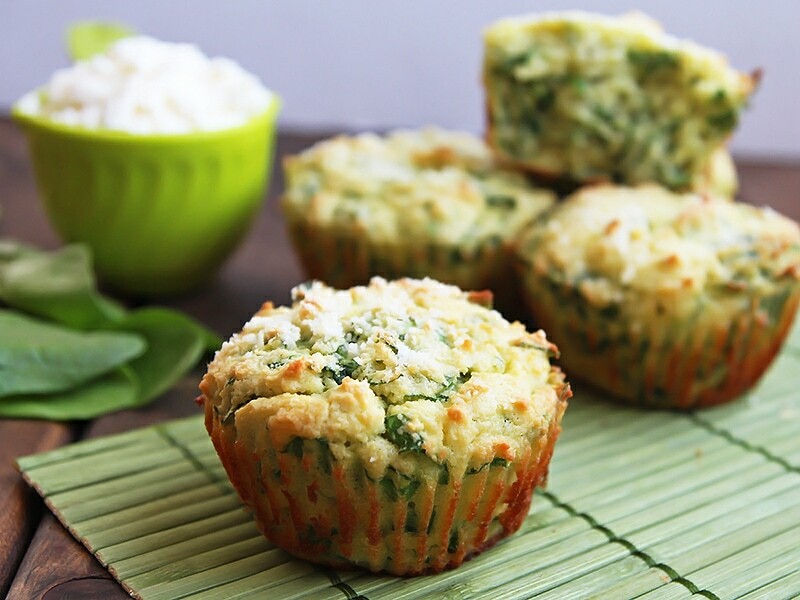 Sprinkle each muffin with a little grated Parmesan cheese. Bake for 18 - 22 minutes until a toothpick inserted in the center comes out clean.